Earlier this offseason, Michael and I were putting together a bit about the Cubs’ rotation in 2019 – I think in relation to the Cole Hamels option or something – and we started laying out the names of all the starting pitching options the Cubs already had under control at the time, in addition to Hamels: Jon Lester, Kyle Hendricks, Jose Quintana, Mike Montgomery, Tyler Chatwood, Drew Smyly, Alec Mills, Adbert Alzolay, Duane Underwood. We were mulling the depth possibilities and how they stacked up against the cost of retaining Hamels and pushing the rest of the guys back … and somehow we completely forgot about Yu Darvish. It was just for a hot minute, but the omission was long enough that the kick to me was jarring. Had Darvish really fallen so far off the radar that he wouldn’t be in our minds instantly in that moment? Well, I mean, yeah, kinda. 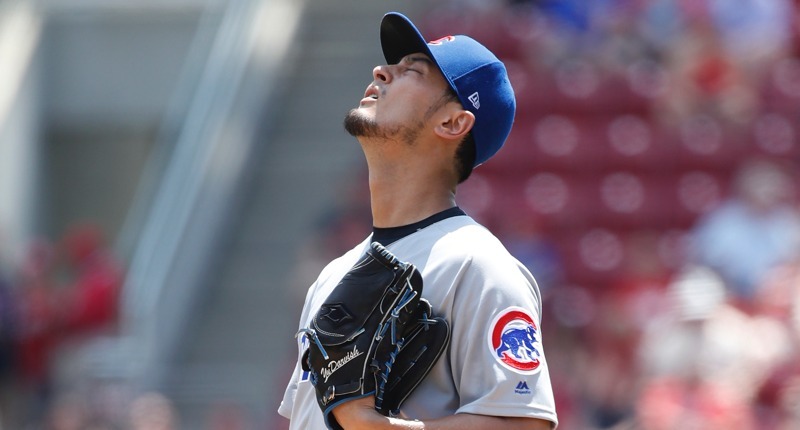 The Cubs had, at that time, operated their rotation without Darvish for nearly six months at that point, and his mere 10 starts as a Cub had been largely forgettable, save for the gnashing of teeth and wailing of early overreaction to his monster signing. His recovery from an injury no one truly understood for a long time was harrowing, and fans had been put through the “he’s coming back! … he’s not coming back” ringer so many times that discarding him entirely from our psyche seemed to be the only way to chill out. 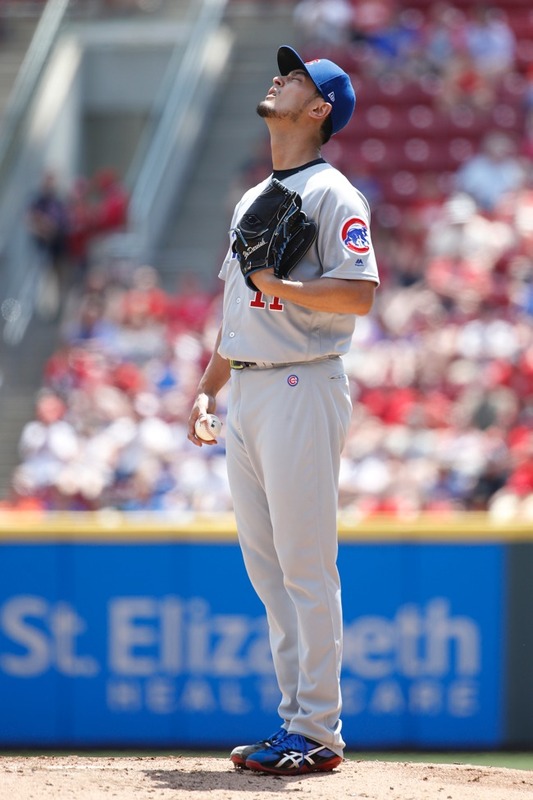 I guess it was just weird to be at that moment, finally, when Darvish was actually supposed to be back in the Cubs’ rotation the next time they played regular season games. And that’s where we are right now. Yu Darvish, having rested the stress reaction in his elbow and subsequently having had arthroscopic surgery to clean up that elbow, is supposed to be in the Cubs’ rotation when the season opens in 2019. As Theo Epstein updated last night, Darvish’s recovery is proceeding as hoped, and he’s expected to start throwing in a couple weeks. At present, there is no reason not to expect him to be on a normal schedule when Spring Training kicks up in February. Not that I would blame anyone for holding onto some residual caution. Maybe a lot of it. With the news, I started thinking about what we can reasonably hope for from Darvish next year. At 32, it’s not as if he’s old for a starting pitcher – even a higher velocity guy in the current era – but he is now coming off his second major elbow issue in four years, and he came to the States after an extraordinarily heavy workload as a young pitcher in Japan. As we all discussed and weighed and debated before the Cubs signed him, Darvish was a pitcher with a lot of “mileage” on his arm. Expecting him to bounce right back into being the 3.50 ERA, 3.5 WAR starter he’s mostly been is maybe not all that reasonable. Then again, I started thinking about the flip side. The optimistic side. As I do sometimes. Consider that Darvish – the guy with all that mileage on his arm – is going to come into Spring Training having gotten nearly a year off from competitive pitching. Sure, that stretch including lots and lots of rehab plus a minor surgery, but still. There are bullets in there that he didn’t use last year, and it was extra rest following Tommy John. That doesn’t seem like such a bad thing, right? In fact, going all the way back to 2015 when he had that Tommy John surgery, Darvish has thrown just 327.0 big league innings over four years. That’s like a heavily-used reliever total. Maybe he’s saved a lot of bullets over the last four years. OK, so let me immediately say what you’re thinking: of course it’s just as possible that the lack of action – BECAUSE OF FREAKING INJURIES – is a really bad sign for his future than a good sign. I admitted I was being optimistic, after all. It’s just that, in this particular case, with a guy who came to the Cubs following such heavy usage for over a decade of professional pitching, and who is under contract for another five years, you might be more keen to see an upside in the extra “rest” he’s gotten lately. 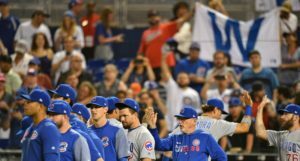 Maybe it’ll be bizarrely, unexpectedly, and uniquely beneficial to the Cubs. Combine the rest with the lowered expectations and reduced fishbowl effect after his first year, and maybe Darvish will just be more comfortable and productive, too. It’s possible. In any case, I’m happy to hear that his procedure went well, and his recovery is likewise going well so far. I remain very hopeful for his near-term future with the Cubs, and I don’t plan to forget – even for ten seconds – that he’s “currently a rotation option” any time soon. Previous PostPrevious post:Hey, You Know What Surprising Free Agent is Actually Worth Discussing? Daniel Descalso!